4 weeks to go before GDPR. IT Service Manager - are you ready? As we all know by now, according to the GDPR, any individual that has used your ITSM solution may request that her personal data (including such a trivial thing as her name) is erased. How will your organization react to such a request? In reality, such a request is likely to occur when your business relationship with the individual ends (such as end of employment). The individual may remove the consent to use her personal data or – even worse – may request that all personal information is removed. 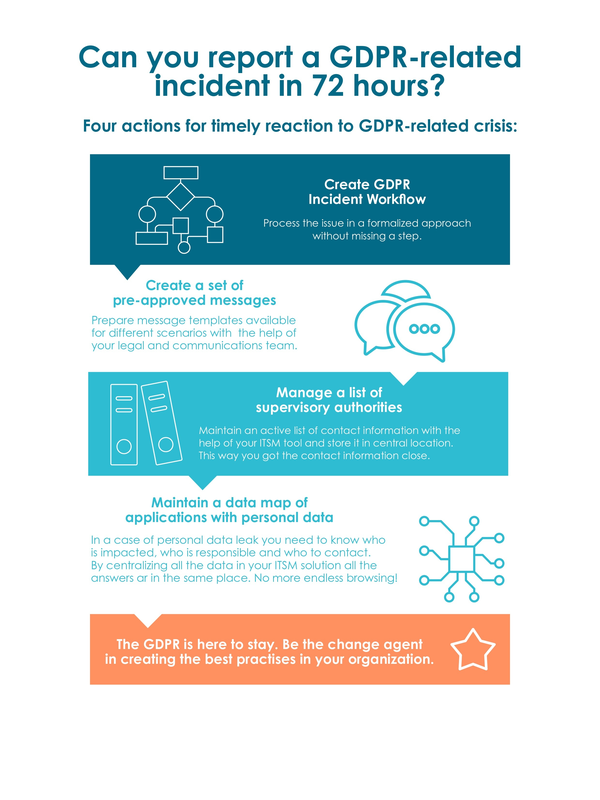 We at Efecte believe there are three simple steps to comply with GDPR’s Right to be Forgotten. Check out our Guide for IT Service Managers (Three steps to comply with GDPR Right to be Forgotten) to learn how. And if you have other questions on how to update data retention policies in your IT Service Management solution, do not hesitate to contact us. We are here to help.